At some point our children will be given the opportunity to learn a foreign language, whether they go to public school or private. Unfortunately, most schools don't over foreign language lessons until children are in middle or high school. Yet study after study proves that exposing children to a new language before the age of five has numerous benefits. And since their world will someday expand beyond your own community, fluency in a second language will be beneficial, no matter what career they choose. According to countless studies, we are best able to learn a second language if we start before the age of six. The reason is that this is the time frame in which our brains have the biggest growth spurt they will ever have. Our brains are primed and ready to learn and absorb. Taking a foreign language course before age six will allow your child to speak more fluently and even have a better accent. 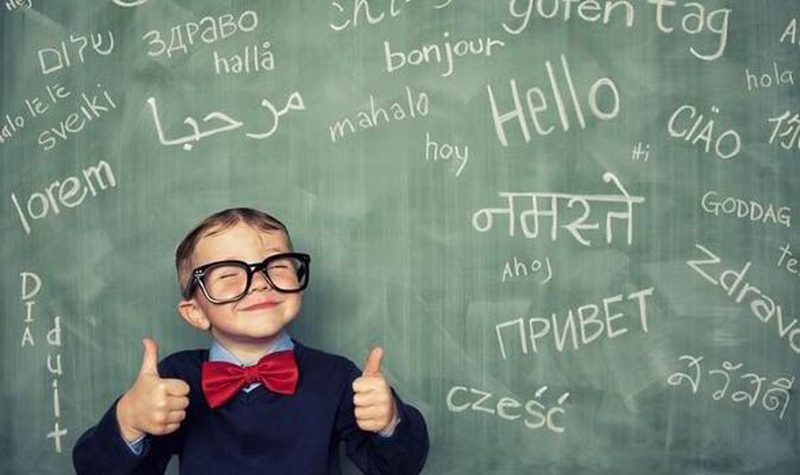 Learning a second language at a young age boosts your child's brain power. The brain has two types of tissue — gray and white. Studies have shown that there is a significant difference between the brains of those that speak one language and those that speak two. Those that speak two, have much denser gray matter, especially on the brain's left side which is used to control language and communication skills. Those that learn a second language at a young age, therefore, have stronger reading, writing, speaking, and comprehension skills. Learning a second language as a young child helps your child develop critical thinking skills, including math. Studies show that children who study a second language outperform their peers who do not study a foreign language, even if those students had more math lessons and studied math more often. Want your child to be creative? Learning a second language can help develop her creativity too. The Torrance Tests of Creative Thinking measures a person's capacity for generating solutions to problems. There are four key areas of this test - fluency, flexibility, originality, and elaboration. Bilingual students outscored non-bilinguals in every one of those factors. In a 2013 study of 56 five-year-olds, bilingual children responded faster on tasks that required different levels of working memory. And even with responding more quickly, the bilingual children were also more accurate. As parents, we want to give our children the best start possible in their academics. Language lessons for your toddler might seem extravagant, but as they head off to Kindergarten, grade school, high school, college, and eventually begin their careers, those lessons will pay off greatly. Our pesonal community is more global today than ever before. With social media, and companies that cross continents, knowing a second language is a vital tool for life.